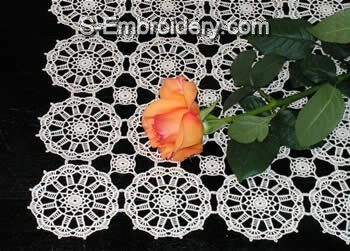 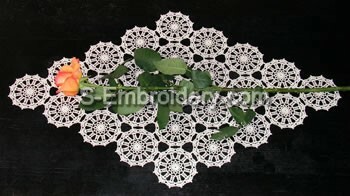 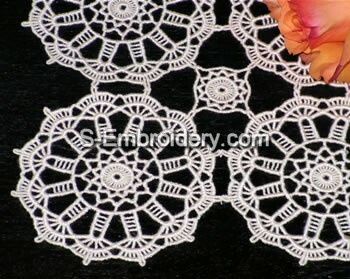 A set of 2 delicate freestanding lace machine embroidery designs which will fit in a 4x4 hoop. 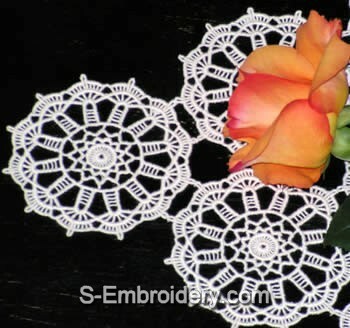 This set will let you create a beautiful freestanding lace only table runner or doily with a rectangular, square (when you use both designs) or rhomboid or hexagonal (if you use only the large embroidery design) shape. 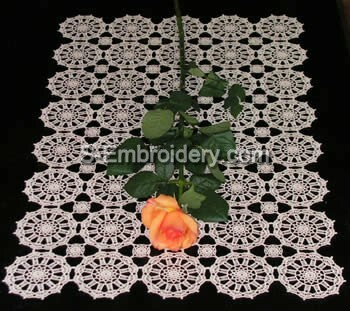 The size of your project is a matter of your choice.